OVERVIEW: Mirabilandia is the famous amusement park among all in Italy. It is spread around 850000 sqm. It has a standard area of 30 hectares and more 10 hectares for Water land. The park is famous for having Katun Inverted Roller Coaster and World’s Tallest Water Coaster. There is also situated Europe’s second Tallest Ferris Wheel and 90-metre tall Euro Wheel. Not only have these you can get to see the famous Dolphin Show, Horror house. It is also a good picnic spot for families. The park is entirely covered with high-speed Wi-Fi. HISTORY: In 1997 the park was constructed and decorated with exotic and fantastic sceneries. It was remodeled as the world of adventure and edited in Pirate style, and it was renamed as PIRATE BAY. In 2000 two animal species like a European hare (Otto Leprotto) and a mallard (Mike) were visible widely in the meadows. In 2003 the Mira Beach was built up in Caribbean-style. In 2006 the Horror Villa was added. In 2007 Raratonga theme was added to beautify the park. In 2011 many rides as roller coasters, the merry-go-round was added. LOCATION: It is in Italy. The actual address of this park is “SS16, km162, 48125 Savio RA, Italy”. TRANSPORTATION: There are such an easy journey steps to reach Mirabilandia park. (Motorway A14 Bologna/Ankona, E45 direction, exit Mirabilandia) the route will help to reach there by private cars, cabs, and buses. (Parco Della Standiana Srl, SS 16 Adriatica km. 162, 48125 Savio – Loc.) route helps to reach the amusement park by train. Not only these but also there is a big parking spot for vehicles opening from 10 A.M.-10 P.M. OPENING TIME: From Sunday-Friday the park is opened at 10 AM and is closed at 6 PM. Only on Saturday the park is opened at 10 AM and is closed at 11 PM. CLIMATE AND ACCOMMODATION: In July there is the temperature of about 29 degrees Celsius, and in December the weather is about 7 degrees Celsius. If there is a plan of picnic winter is the best time to travel to the park. All necessities like food and cafeteria equipment are available in the park at economical prices. ATTRACTIVE THINGS: The park is attractive for not only on its beauty but also for its joyful rides. There are the 164 feet Katun Inverted Roller Coaster. It is around 50m tall. It is the fourth tallest circuit in all inverted roller coasters. Its length is 3937 feet. The top speed of that ride is 105 km/h. Another side, there is the tallest Ferris wheel among all in Europes. The Euro wheel is constructed of 300ft and decorated with 50,000 light bulbs. The hi-speed Coaster is another attractive ride among all. It is a steel made roller coaster which launches at a speed of 74.6 MPH and climbs straight 180 feet and goes through some artificial hills and tunnels and comes down with a high speed with the shouting of riders in joy. Not only are these there a good Dolphin Show, Horror Villa which attracts all aged peoples. The lovely accommodations of the park, the colorful lighting of rides shines the evening view. The coffee in the cafeteria, the delicious Italian foods in food court denote to must visit Mirablinadia Park if you are in Ravenna, and tell you to visit again. 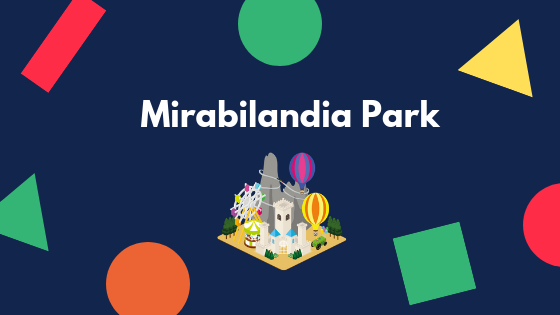 TICKET PRICE: In the Mirabilandia Park, there is an official and also an online ticketing system. The ticket price for an adult through online is 2490 Euros and through the office is 3590 Euros. For senior citizens, the ticket price is 2800 Euros through the office. Family package tickets with (2 Adults+2 Children) are 127000 Euros. The evening ticket which is only applicable after 5 PM is 1590 Euros. The children up to height 100 Cm is free from ticketing. Besides these, there is a system of annual passing tickets and also school excursion package including meal system.